Support in Mind Scotland, a national mental health charity with nearly 50 years’ experience and that supports up to 1,500 people per week with poor mental health, has started a new project called Highlands & Islands Connections. Building on a previous research project called Well Connected Communities, this new project is all about exploring how to strengthen community connections so to make a positive difference to the mental well-being of people living in rural areas. The project works with the National Rural Mental Health Forum and is funded through the Scottish Government’s Aspiring Communities Fund with support from the European Social Fund and runs until 2020. “The research undertaken by Support in Mind Scotland led to the formation of the National Rural Mental Health Forum in Scotland. This research highlighted that individuals that experience poor mental health in rural Scotland prefer to be supported within their own communities. This has led to the work in the Highlands and Island’s Connections project”, stated Jim Hume, Convener of the National Rural Mental Health Forum. The aim of the new project is to identify ways to improve mental wellbeing at community level and to measure changes brought about through creating additional community connections across two pilot rural communities.The two pilot locations are The Uists and Benbecula and the Isle of Mull. Each pilot location will test out a different approach to developing a ‘community of care’. In the Uists and Benbecula the focus is on developing links between existing organisations and improving communications across the rural area. 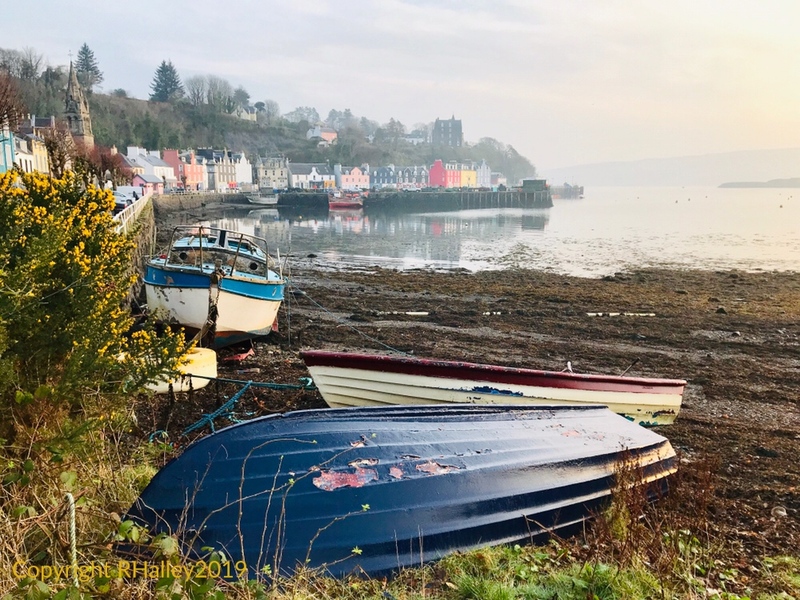 On the Isle of Mull, the focus is on exploring different ways that businesses can engage with employees to improve community connections and improve mental well-being. Each pilot area is supported by an Area Project Team and the overall initiative is coordinated by Ros Halley, Highlands & Islands Community Connections Manager. The project will impact locally in each area by directly supporting people to participate in community life, whilst proactively working at community level to challenge stigma, increase awareness of mental health and wellbeing, and develop community spaces or activities that are open, accepting and community-led. In addition, the team will be exploring options to recruit, train and support local volunteers so to directly involve the local community in being part of the ‘solution’, which will help to build long term community cohesion. It is hoped that the project will be a catalyst for change by creating a conversation about the role of a ‘community of care’ in achieving mental wellbeing, creating conditions for change, and giving people with lived experience of mental ill-health a voice. By working in partnership with local partners, the project aims to help to build better informed, more compassionate communities. By documenting the project, it is hoped that similar actions may be able to be rolled out in other locations and that the evidence gathered will be able to be used to guide future mental wellbeing policy and rural policy.